If you climb aboard the rattler from Euston and alight around two hours later in the historic splendour of Chester, you’ll be forgiven for spending a little time sauntering at your leisure towards the becobbled, boutique-encrusted retail avenues of Watergate Street. But hold firm. Do not waiver far from your course and do not waste precious minutes gazing into the dazzling displays before you. Keep your focus. For you will soon come across an unassuming frontage, classily bedecked in mauve, its contents shrouded from the gaze of the ‘average’ passer-by. It’s the holiest of holies for cigarophiles – a La Casa del Habano. Run under licence from Habanos SA of Cuba, these worldwide outlets are often the places to buy your Cuban cigars to ensure provenance, quality, choice and authenticity. 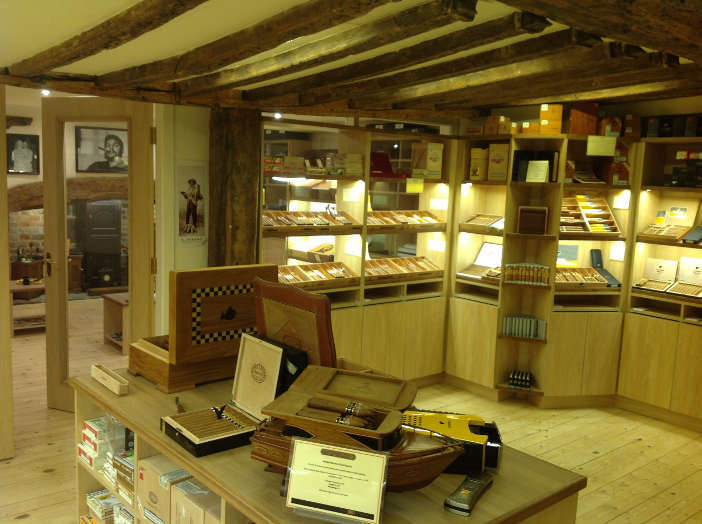 The Chester La Casa – owned and operated by C.Gars Ltd – is the second in the country and the first north of London. It’s a beautiful store – adjoining the existing Alfie Turmeau’s Chester shop and having been totally refurbished to include a large walk-in humidor with special edition, regional edition, La Casa exclusives and current production Havanas from wall to ceiling; a comfortable and air conditioned sampling room, complete with TV, leather chairs, choice of libations, newspapers and cigar periodicals and a downstairs VIP/tasting room with a bar and member’s lockers. 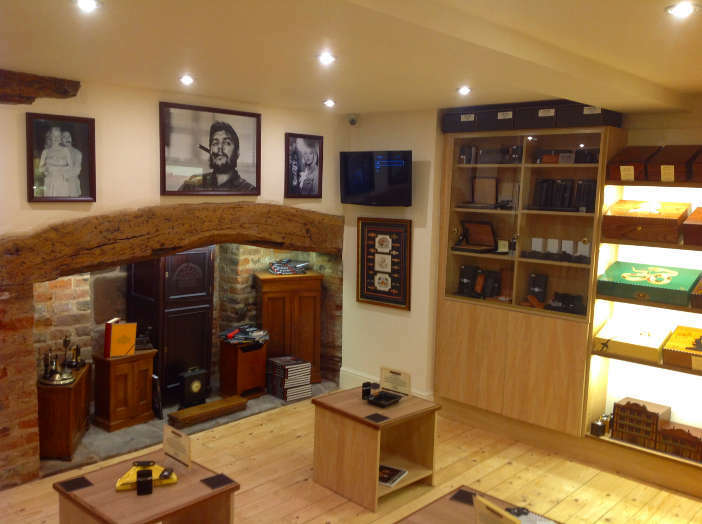 The new store is looked after by Calum Conn – already a Master of Havana Cigars. You couldn’t be in better hands. With a nod and smile he whisks me into the inner sanctum and before I can say Partagas Culebras, I’m sitting pretty with an espresso and the spanking new UK Regional Edition, Por Larranaga Sobresalientes. Straight from the get go, it’s a light, sweet blend – perfect for that first cigar of the day. Calum is knowledgeable without being strident, something not always achieved by those seeking to impress you with their knowledge. We discuss blends and marques (brands), what’s hot and what’s not, what he likes and what I like. It’s always a pleasure to chat to like-minded folk. A thin and cultured wisp of smoke pours deftly from the foot of my Sobresalientes as we chat. Another regular joins us for more of the same; cigar banter, putting the world to rights. It’s a two-cigar job. By the time I say my goodbyes and stride forth once more for the station, I’ve made new friends, tested my palate with a different cigar blend and new Scotch and wiled away a thoroughly pleasant three hours or so in the blink of an eye. Just another day in cigar paradise. Make the trip. La Casa del Habano, 32 Watergate Street, Chester, CH1 2LA. Tel: 01244 348 821. Website.